The National Chairman of the All Progressives Congress , Adams Oshiomhole , urged members of the opposition party to join the APC so that their sins could be forgiven . He spoke at the APC rally in Benin , the Edo State capital , on Thursday while receiving some members of the Peoples Democratic Party into the APC during the rally . He said , “ We have some PDP defectors. They are , Henry Tenebe , Iluobe … . Iluobe means I have done something wrong . 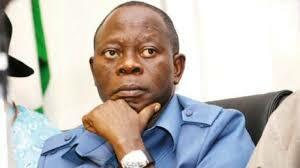 Oshiomhole advised the people to vote for the President and all the APC candidates at the polls .